Your Favorite Airshow - Share It! We want to hear about your favorite airshow or fly-in. 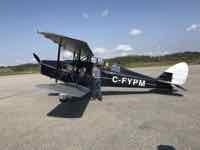 We want to hear about all of the great airshows and fly-ins all over the world for seeing antique airplanes. We have an easy to use submission form - click here to get straight to the form. 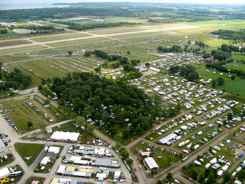 Oshkosh is one of our favorites.... can you blame us? There are other great shows. Watsonville is practically in our backyard, so that was a sentimental favorite for vintage airplanes in the past. England has lots of great airshows.... Duxford is exciting. We loved the flying days at the Shuttleworth Collection. 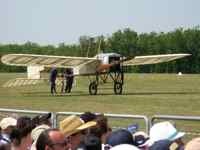 And in France at La Ferte Alais we saw planes we had never seen before... and it was the only airshow we've been to where we could go wine tasting at the same time! Where is it? What country? What city? What airport? What do you love about it? Does your favorite feature antique airplanes? Do you like shows with lots of aerobatics? Do you like shows featuring great warbirds... past and present? Please share them. And just like with antique airplanes, you may have several favorites. That's great... share them all! Scroll to the bottom of the page to see the favorites that others have told us about. You can comment on them if you'd like. Maybe add to their information. We need all the help we can get. Do You Have A Favorite Air Show? If you have a favorite air show, please share it! It could be any where in the world... we'd probably like to go there. We love to travel, and air shows are a fun addition to any vacation. Tell us and our readers where to find great aviation events. Where they are, maybe how to get there... and what to expect to see. Or Your Top Three or Five! It's not scary; just a few words or a whole story if you want. We'd Love to See A Picture If You Have One. Keep going! Jus click here to see the rest of the form and complete your submission. Now wasn't that simple? We all thank you!